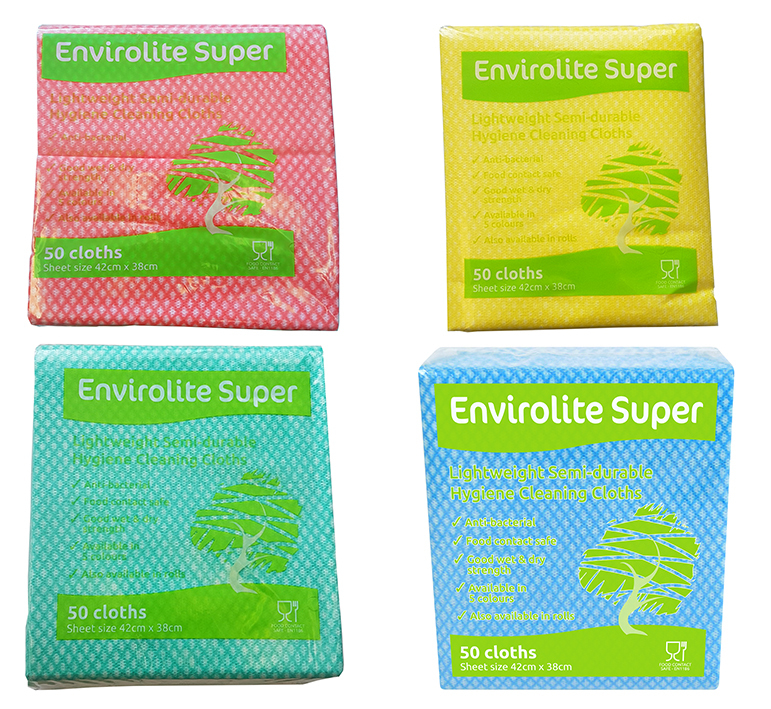 A Semi durable anti-bacterial all purpose cleaning cloth with very good wet and dry strength. Ideal as a dry cloth for polishing. Impregnated with an anti-bacterial agent to inhibit growth of bacteria on the cloth.